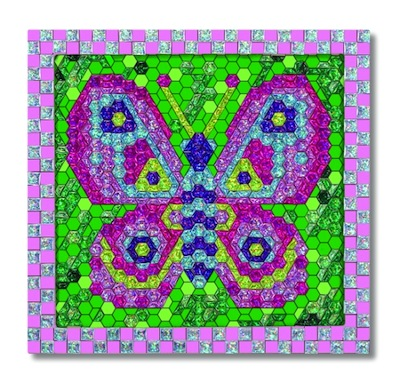 Watch your child's face fill with delight as the intricate design emerges on this beautiful butterfly mosaic-by-number craft. With over 600 glittering sticker tiles, there are even enough to decorate the wooden frame. Great for developing attention span and fine motor skills! Intended for ages 6 and up.